Note: The contents of this article are the author's opinion and have not been approved as a financial promotion. Ginmeister are the makers of Pinkster, a premium gin using locally grown raspberries. 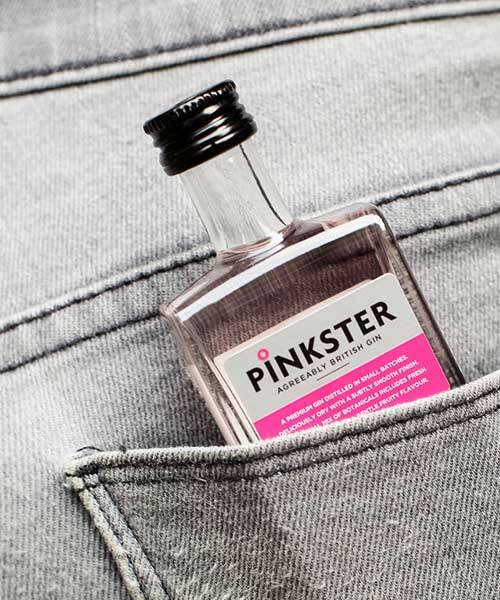 Voted by the Craft Gin Club as the UK's third favourite gin in 2015, Pinkster is building a recognisable brand in a fast-growing domestic and international market. By March 2016, Ginmeister had been trading for over two years and secured over 500 UK outlets, including Ocado and a variety of licensed premises. But it had reached a point where further capital was required to grow the business across domestic and international markets. The board of Ginmeister, including Managing Director Stephen Marsh, approached Growthdeck as well as other leading equity crowdfunding platforms. They felt that the crowdfunding industry was well placed to source capital quickly and also encourage a network of brand ambassadors. Growthdeck’s different approach marked them out from other crowdfunding platforms. We liked the fact that their model brings together the accessibility of crowdfunding with the robustness of a venture capital-style approach for the benefit of businesses and investors alike. Following a series of discussions, Ginmeister chose Growthdeck, despite the infancy of the platform. Stephen explained that the company's private equity experience was a big factor in choosing the platform. The added value of the Growthdeck sector experts was also key - with members of our panel able to provide insight and knowledge to help Ginmeister achieve its strategic objectives. The campaign launched on April 1st 2016 and within two weeks hit £200,000 - with strong early interest from investors. The Growthdeck marketing team carried out a range of promotional activity, including mentions in national newspapers, targeted digital advertising and regular social media updates. Two networking events were held with over 60 investors meeting the Ginmeister team. Growthdeck is arguably ahead of its time and other providers will adapt as the industry comes under more scrutiny. Smashing our £600k target in just six weeks says all you need to know. The campaign continued to build momentum and the target of £600,000 was reached within six weeks. A short period of overfunding allowed additional investors to take part with further equity being released. In the end, £1,000,000 was raised - achieving 167% of the target. 87 investors took part, with an average investment of £11,500. And this is just the beginning of our relationship with Ginmeister. Growthdeck will continue to provide expert support and play an active role in helping the business achieve its targets. In addition, as Nominee, we will be reporting to each investor on a regular basis and keeping them up to speed with the latest news and developments. If you'd like to find our more about how we can help businesses raise finance, then please contact us at investments@growthdeck.com or visit our 'Raising capital' page.